LifeGuards provide support for any product regardless of where you bought it. Our LifeGuards are able to find multiple ways to help remind you of how to use the things you've purchased & to get the most out of them. LifeGuards provide Social Chat, a service where you sign up for you or a loved one to chat in increments of 30 minutes. Our LifeGuards are vetted & trained to provide a friendly, fun experience by sharing news, tips, and other information you find interesting. MemoryBeach LifeGuards look out for you. & to help you navigate MemoryBeach.com. 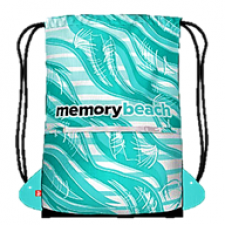 MemoryBeach LifeGuard Pendant You will be leaving this page to custom pri..
MemoryBeach LifeGuards support all of our products. Y.. If you'd like additional help setting up a product, or remembering how to use it, consider..